Tomasz Hueckel received his master's degree in civil engineering from the University of Technology in Gdansk, Poland, in 1968, his Ph.D. in applied mechanics from the Polish Academy of Sciences in Warsaw, in 1974, and the D.Sc. in physical sciences from the University of Grenoble, France, in 1985. 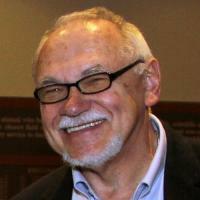 He started his research career at the Polish Academy of Sciences in Warsaw, then taught at the University of Rome and the University of Technology in Milan before joining ISMES, a research institute in Bergamo, Italy, where he was responsible for research on geomechanical aspects of nuclear waste disposal in clays, a subject in which he continues to be strongly involved. He came to Duke in 1987. Dr. Hueckel's research interest is in theoretical soil mechanics, rock mechanics, and environmental geomechanics, as well as in theory of plasticity. His current projects deal with thermo-plasticity and chemo-plasticity of clays, and in general in mechanics of materials composed of chemically reacting solids and liquids. He is interested in fundamental aspects of soil drying and cracking, and processes of soil aging and healing. The above subjects involve mathematical modeling and model driven laboratory experiments. He also is interested in basic aspects of theory of plasticity, such as stability and localization. His research is applied to hydraulic geo-barriers affected either by chemically hazardous liquids or nuclear waste heat, to prediction of petroleum production induced compaction and subsidence, as well as desiccation damage. Dr. Hueckel is a co-founder and co-Editor-in Chief (2015) of Geomechanics for Energy and the Environment, an Elsevier journal. He has published also in International Journal of Solids and Structures, International Journal of Engineering Science, Pure and Applied Geophysics, Surveys in Geophysics, Engineering Geology, Engineering Fracture Mechanics, International Journal of Rock Mechanics and Mining Engineering, International Journal of Numerical and Analytical Methods in Geomechanics, Computers and Geotechnics, International Journal of Soils and Foundations, Journal de Mecanique, Canadian Geotechnical Journal, Meccanica, Ingenieur- Archiv, and the ASCE Journal of Geotechnical Engineering. He has also contributed to numerous books on the state of the art. Dr. Hueckel is heavily involved in international research cooperation, collaborating and co-authoring with Belgian, Italian, French, Polish, Spanish and Swiss researchers. He is or was a member of the editorial board of the Journal of Numerical and Analytical Methods in Geomechanics, the Archive of Applied Mechanics and of the International Journal of Mechanics of Cohesive and Frictional Materials, ASCE Journals of Geotechnical and Geoenvironmental Engineering and ASCE International Journal of Geomechanics, Italian Geotechnical Journal and Studia Geotechnica et Mechanica (Polish). Mechanics of materials, theoretical soil mechanics, rock mechanics, theory of plasticity, multi-physics processes in geomechanics, nuclear waste disposal, energy and environmental geomechanics. Gajo, A; Cecinato, F; Hueckel, T, Chemo-mechanical modeling of artificially and naturally bonded soils, Geomechanics for Energy and the Environment, vol 18 (2019), pp. 13-29 [10.1016/j.gete.2018.11.005] [abs]. Porporato, A; Calabrese, S; Hueckel, T, Thermodynamic relations among isotropic material properties in conditions of plane shear stress, Entropy, vol 21 no. 3 (2019) [10.3390/e21030295] [abs]. Hu, MM; Hueckel, T, Modeling of subcritical cracking in acidized carbonate rocks via coupled chemo-elasticity, Geomechanics for Energy and the Environment (2019) [10.1016/j.gete.2019.01.003] [abs]. Yang, S; Mielniczuk, B; Saïd El Youssoufi, M; Hueckel, T, A note on evolution of pressure and flow within an evaporating capillary bridge., The European Physical Journal. E, Soft Matter, vol 41 no. 12 (2018) [10.1140/epje/i2018-11748-x] [abs]. Cassiani, G; Brovelli, A; Hueckel, T, A strain-rate-dependent modified Cam-Clay model for the simulation of soil/rock compaction, Geomechanics for Energy and the Environment, vol 11 (2017), pp. 42-51 [10.1016/j.gete.2017.07.001] [abs]. on Environmental Geomechanics, Ascona, Switzerland, July 2002.